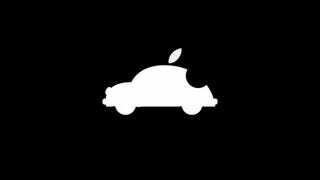 We're not going to find out anything more about Apple's car-related project until the company is ready or it decides to leak out more information to the usual suspects. But now we know that Project Titan is employing a broad range of engineers, including powertrain, transmission, and safety specialists. The Apple-obsessives over at 9 to 5 Mac have compiled an illuminating list of recent hires by Apple, some – unsurprisingly – from Tesla, but even more from traditional automakers that worked on traditional automaker stuff. A handful of highlights include Robert Gough formerly of Autoliv that works on everything from airbags to seatbelt and radar systems. There's David Nelson from Tesla, who worked on electric motor and gearboxes. A few other new hires have transmission and drivetrain experience, while David Perner, formerly of Ford, worked on the automakers hybrids, and Jim Cuseo, an Apple employee since 2010, held down a gig at Ford as an R&D engineer after a stint at MagCanica working on electromechanical torque sensing systems. And of course there's the people Apple snatched up from A123 Systems, and the resulting lawsuit. Why Is Apple Poaching Engineers From A Top EV Battery Company?